This document applies to version 3.0 MAINTENANCE 20 and above. It describes how to configure and use remote SalesForce® objects. To configure a remote SalesForce® business object the Table field value must be service-salesforce. Nothing else needs to be configured, except rights, as the remote SalesForce® object configuration is dynamically processed to build the local Simplicité® business object. ignored: [<array of SalesForce field names>] allows to define a list of fields that are not taken into account on Simplicité® side, by default the list is: ["IsDeleted", "OwnerId", "SystemModstamp", "MasterRecordId"]. 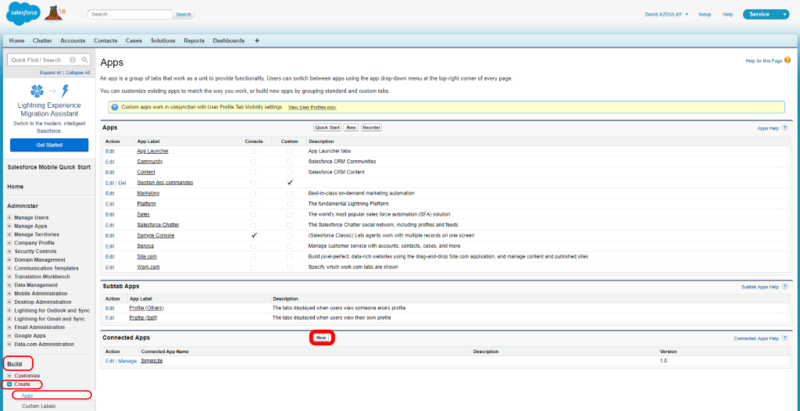 "http_timeout": "<HTTP requests timeout in milliseconds (optional) defaults to 30000>"
Note: multiple credentials can also be configured if you need to access to several remote SalesForce® instances. 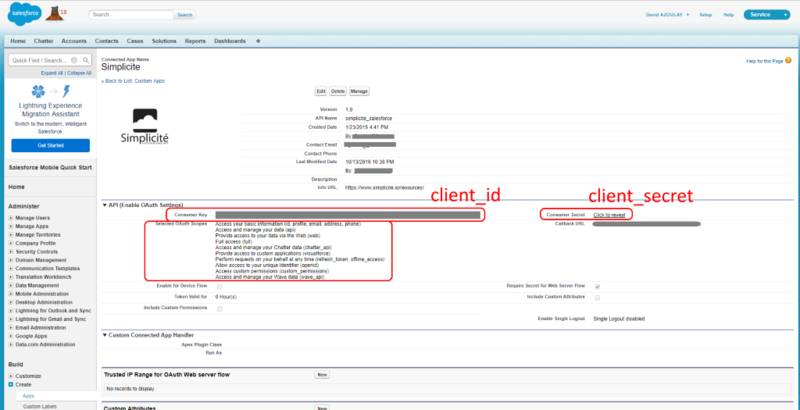 The client ID and client secret are the one defined for a Connected App in SalesForce admin UI. Make sure you have selected the appropriate scopes to get access to the APIs you need. The username and password are the one you use to signin SalesForce.